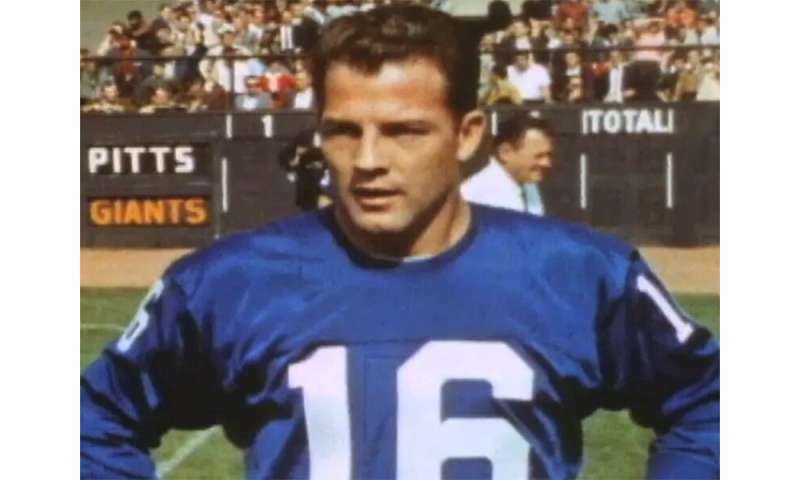 (HealthDay)—When NFL legend Frank Gifford died in 2015 at the age of 84, his family revealed that for years he'd suffered from mental issues caused by chronic traumatic encephalopathy (CTE), tied to head trauma experienced during his years of play. One emergency medicine expert who's worked closely with pro athletes—including players with the New York Jets—agreed that such a test is urgently needed. More information: Robert Glatter, M.D., emergency medicine physician, Lenox Hill Hospital, New York City; Jamie Ullman, M.D., director, neurotrauma, North Shore University Hospital, Manhasset, N.Y.; April 10, 2019, New England Journal of Medicine, online.